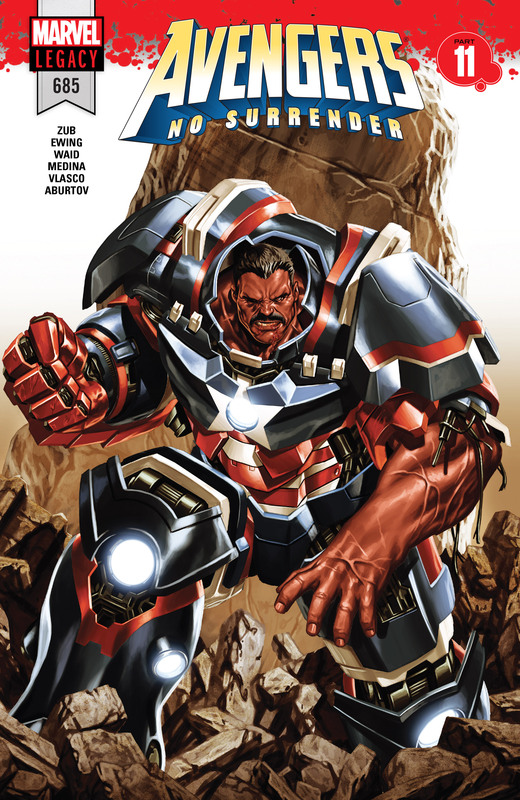 Another Avengers falls in Avengers No Surrender part 11,which happens in Avengers # 685. Last issue we saw the Hulk attacking the Auxiliary Avengers HQ with Voyager hiding with the last pyramoid inside a vault. 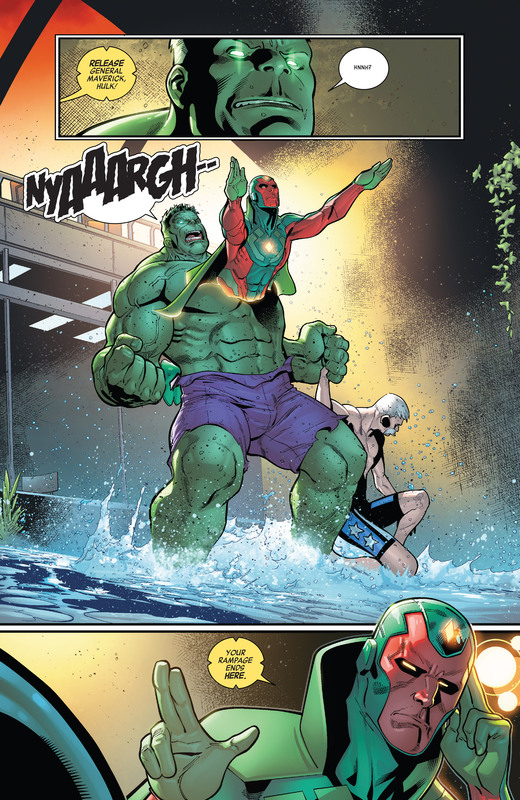 The Avengers tried stopping the Hulk but they all fall down except for the new Red Hulk wHo uses bits of Toni Ho’s armor to become the Iron Hulk. 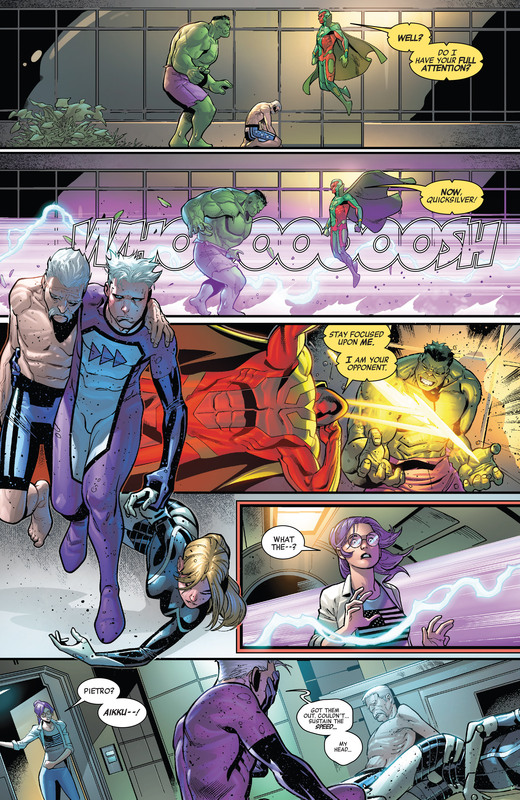 But as the story progresses in Avengers # 685, he falls too. 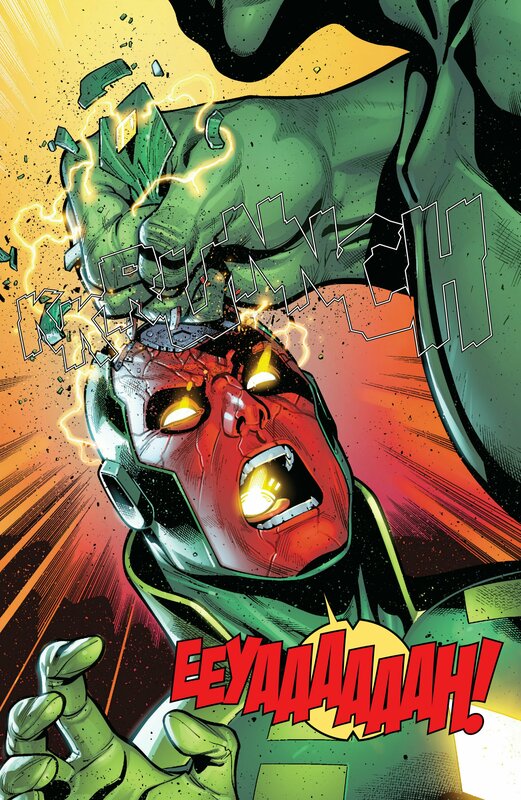 Before the Immortal Hulk crushes Red Hulk’s head, the Vision returns to action and diverts Hulk’s attention long enough for Quicksilver to evacuate the injured members. 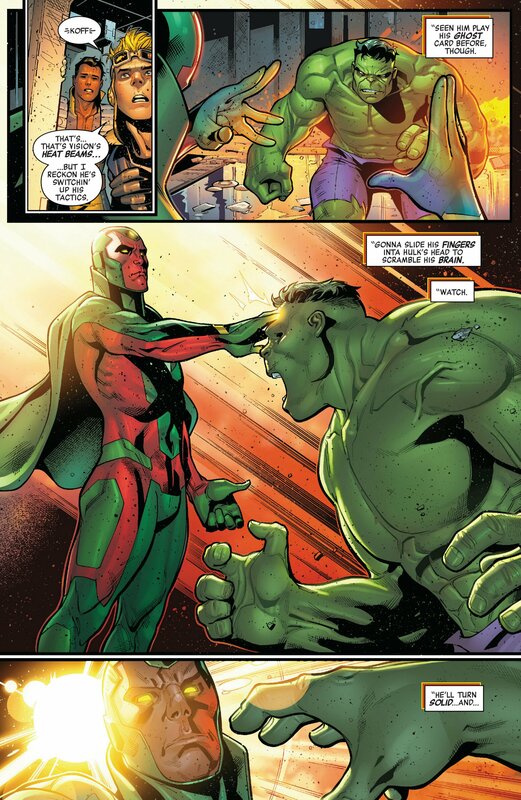 The battle raged on with Vision using his phasing abilities to evade Banner’s attacks. 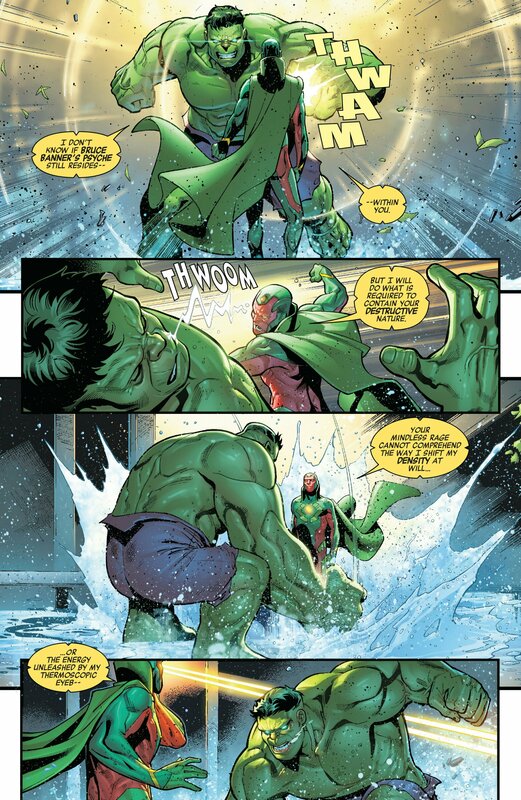 The end for the battle begins when Vision decides to drop his phasing and make physical contact with the Hulk. 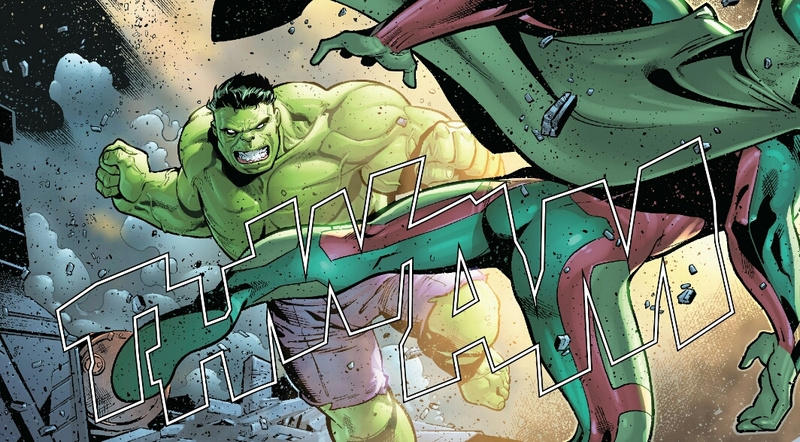 And like a direct reference to the movie, Hulk walks away uttering something. 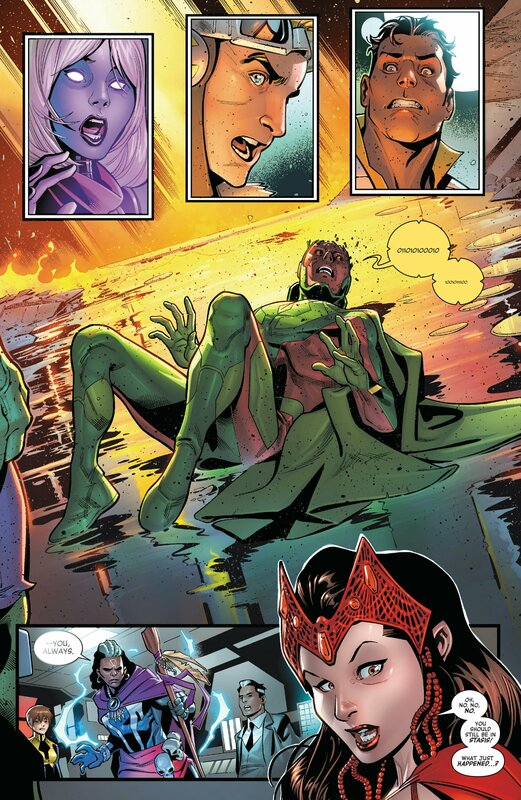 We don’t really see what happens afterwards to Vision but we definitely know we leave him in Avengers # 685 in retty bad shape. But the thing with Avengers No Surrender, its filled with fake deaths for cliffhangers. So there may still be hope for the Synthezoid.